I have been asking God why this one root from my past just WILL NOT GO. It will not move. I have pulled on it and pulled on it and thought it was gone, but then it rises above the dirt and shows its ugly head again and again. The root seems to become tougher and thicker, almost impenetrable when I hack at it with all my might. I get exhausted from trying to pull it up – I’m just not strong enough to do it in my own power. And hearing “just turn to the Lord for your strength and He will do it” just doesn’t cut it. I’m ready to pull my hair out – I just want it GONE. Is this simply going to be a thorn in my flesh for the rest of my life? That thought scares me, even though I know that His grace, His supernatural empowerment in my life, will carry me through the times I can’t carry myself. That means I will be REQUIRED to rely on the Lord to get through those times. I will have to CONTINUE TO WORK toward my earthly healing until my complete heavenly healing occurs. Is it just my laziness that hates that thought? Or do I simply want to be free of the need of God so I can just go about doing my own thing? In either case, this lingering, crippling phantom pain that has carried over from my youth MUST be addressed, over and over and over again. I must accept the fact that our most deeply ingrained hurts and scars go so deep that it will take a lifetime of vigilence to keep our learned coping mechanisms at bay as we obtain our healing. The good news is that the hurts will become less and less painful and burdensome if we minister to ourselves every time we feel the pain instead of swatting it away like an annoying fly and trying to stuff down emotions and thoughts. Perseverence in allowing the thoughts and emotions to surface, even if they cannot be resolved, is only helpful if we stop and minister to ourselves the way that no one else on earth ever has, or probably ever will. We need to listen to ourselves with the compassion that only we can have, because we understand what happened and how badly it hurts. We need to speak those loving and kind words we have been longing to hear and nurture ourselves as we’ve always longed to be cared for. 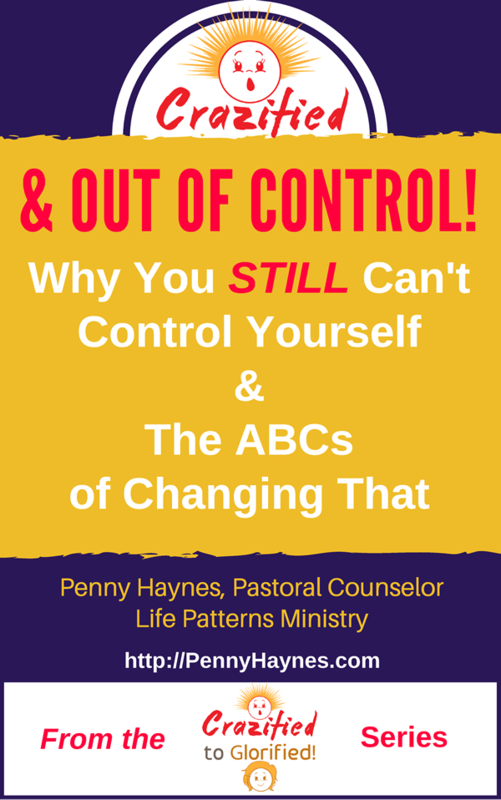 We can’t undo the past, or even the consequences of our coping mechanisms, but we CAN change our FUTURE. We do it by providing the comfort, acceptance and love we so desperately need to feel whole, worthy, valuable and lovable. We can do it by paying attention to our thoughts, feeling the attached emotions, and then speaking to ourselves gently and kindly the truth that we, as adult Christian women, know. However, we must first compassionately cry with our hurt inner parts that have never gotten over the traumas of the past. We can honestly acknowledge truths such as the fact that we are not everyone’s cup of tea, we HAVE made mistakes that have affected our relationships and our lives, but that we have also been unfairly hurt by others. The world is not fair, and society and the media give us impossible standards to live up to, as have some of our parents. This is what we must do over and over, until the pain starts to subside and the Holy Truth takes its place. Don’t give up because the root is still there showing a crop above the surface. As a matter of fact, stop trying to pull it up. Did you know that, in order to kill a root, you don’t have to dig it up? There are other ways to kill a tree because the root is connected to the entire plant. If you starve the soil, or block its sunlight, or compact its soil, or harm the trunk or leaves. the root will die. 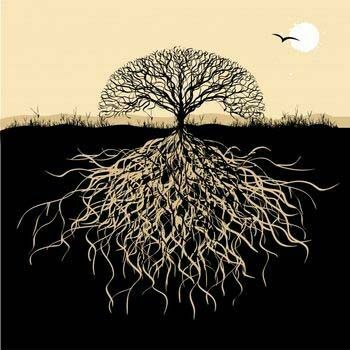 So if you want to get rid of that root, stop tugging and start watering and feeding the OTHER seed that God has planted within us – the Tree of Life. We nourish that tree by loving God, loving others AND loving ourselves. This tree of love will grow so strong and deep, its branches and leaves will overshadow the other root’s plant and choke it out, leaving it to die of malnourishment all by itself. Literally focusing on loving yourself, God and others will bring you the healing you have been struggling to achieve by pulling out a root.